Infinix Smart 2 is an affordable Android device that is set challenge smartphones in it’s category with some mouthwatering features it came bubbling with. Features like the 18:9 HD+ display and Android 8.1 Oreo out of the box has really brought the device into the spot light. The Smart 2 was initially launched in Pakistan in the month of June before it subsequently made its way into other regions across the globe. Unveiled alongside the device is it’s senior counterpart; Infinix Smart 2 Pro with bigger RAM capacity and dual back cameras. Both the Smart 2 Pro and Infinix Smart 2 devices are having the face unlock technology pre-equipped, this sounds quite interesting when you consider the price tag of the two phones. Lets go into details to see all what the Smart 2 has in store. 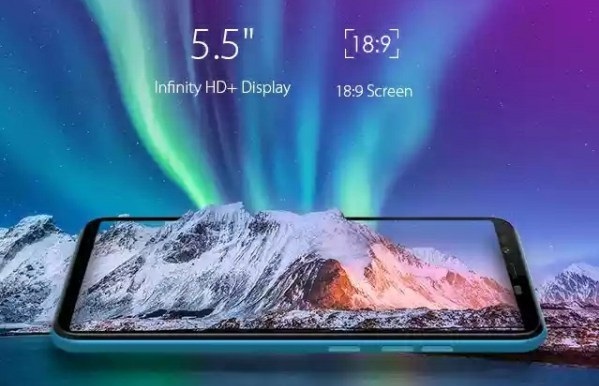 Infinix Smart 2 features a 5.5 inches screen with HD+ display resolution, the screen has a 2.5D curve at the edges and a resolution of 720 by 1440 pixels with about 285 pixels per-square inch. The display uses the 18:9 aspect ratio to enhance visual experience. Infinix Smart 2 is packed with a Quad-core processor that clocks at 1.5 GHz with a Mediatek MT6739 chipset to provide for an average multi-tasking experience. On-board RAM capacity is 1GB, this might not spell good for some heavy user and gamer but remember the Smart 2 Pro has 2GB RAM. The Smart 2 phone crams a 16 GB inbuilt storage space which can be expanded to 32 GB via micro SD card slot if more storage space is required by the user. In terms of camera, the device has a 13 megapixels shutter sitting at the back with dual tone LED flash while residing in the front panel is n 8 megapixels camera with its own dual LED flash for good selfie experience. Some pre-installed camera features include; auto-focus, face detection, phase detection, beautifier and more. Infinix Smart 2 houses a decent 3050 mAh non-removable battery which doesn’t have the fast charge technology so it might take a bit long to get a full charge from zero. The phone has a plastic finish at the back and borders, it’s overall design is quite attractive but nothing new. It has curved edges that will help enhance phone handling, available color options are; Black, Champagne Gold, Blue and Red. Infinix Smart 2 measures 148 x 71 x 8.4 mm (height x width x thickness) and weighs about 145.00 grams. The Infinix smartphone is a dual Micro SIM Android phone and supports dual standby with a very handy 4G network option. Just like the last year’s Infinix Smart, the Smart 2 has no fingerprint scanner feature, it is only the Smart 2 Pro that comes with a fingerprint reader. 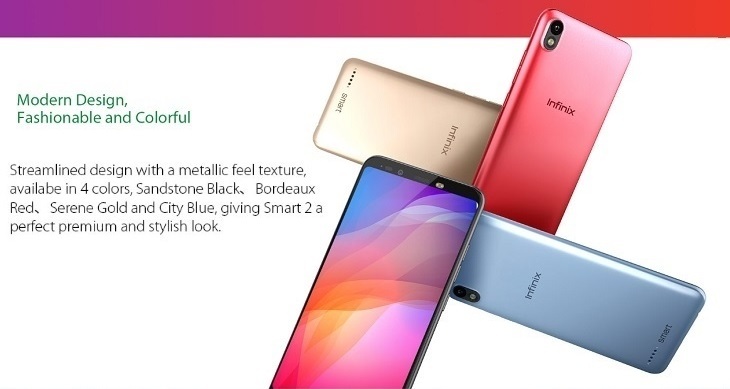 Infinix Smart 2 price in Nigeria is from around 33,000 naira to 38,000 which translates to about 105 USD and Ksh 10,070, note that prices may vary depending on your region or retailer. The device is currently available for purchase in Nigeria, both in offline and online market. It will also be available in other African countries. 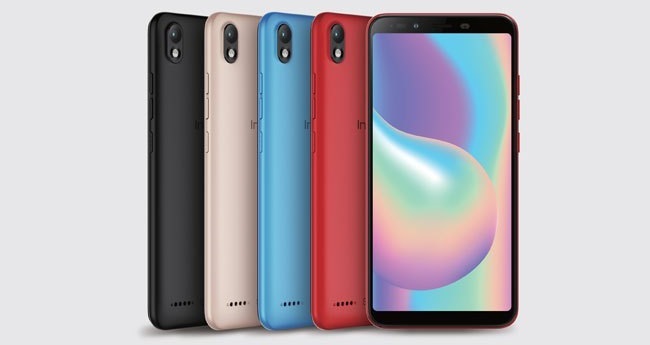 The Smart 2 Pro definitely sounds like a better alternative of the Smart 2 device, other good alternatives from Infinix are Hot 6 Pro, Hot S3 and their Note 5. Moving away from Infinix? You may want to consider some good mid-range phones like Tecno Spark 2, Itel P32, Tecno pouvoir 2 and Oppo Realme 1. I got smart 2 few days ago. It has a finger print sensor, and the processor is rated 1.2GHz not 1.5GHz. The phone is lovely if you are not a heavy user. No it doesn’t, it’s only the Smart 2 Pro that has fingerprint scanner.